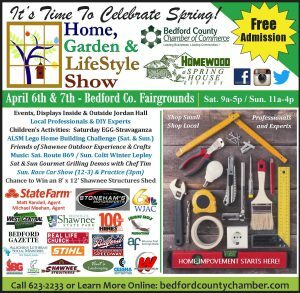 Bedford, PA – Bedford County’s signature celebration of spring, the Chamber is pleased to invite the community to the 24th annual Home, Garden and Lifestyle Show, presented by Homewood at Spring House Estates: Saturday and Sunday, April 6th and 7th at the Bedford County Fairgrounds. A wonderful combination of tried-and-true standards and new features, the 2019 HGL Show will offer something for everyone. Guests will be welcomed to the show by our presenting partner, Homewood at Spring House Estates, the region’s premier retirement community. 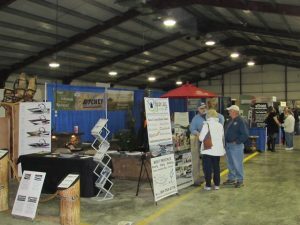 Admission is FREE and guests can register for a free daily door prize drawing featuring products and services provided by the show vendors. 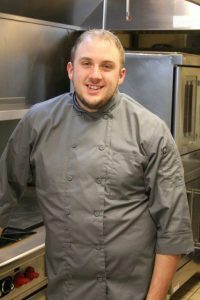 Gourmet Grilling: Among the demonstrations and activities for the weekend, Homewood at Spring House Chef Tim Turner will offer grilling demonstrations and tastings to get you ready for barbecue season. Musical Entertainment Announced: The State Farm Office of Bedford, with agents Matt Randall and Michael Meehan are also major show partner, as sponsor of the weekend’s Entertainment & Activities, including live music Saturday by Route 869 (noon & 2pm) and Sunday by Coltt Winter Lepley (noon-3pm) weather permitting. 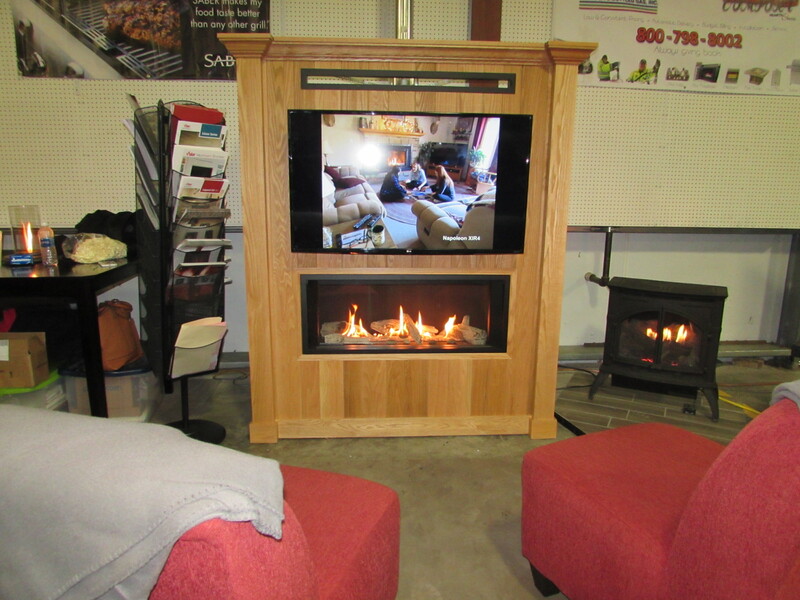 Guests of the Home, Garden & Lifestyle Show have access to dozens of home improvement exhibits and experts. 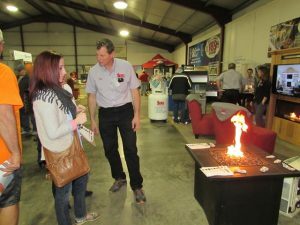 Whether you’re looking to create a new outdoor living space, update your kitchen or bathroom, furnish your man cave, install a new heating and cooling system, or almost any other project, the area’s experts will be under one roof, waiting to meet you. Doing business locally means supporting neighborhood businesses, keeping important dollars in our own community. Personalized customer service is another benefit of buying local, where a handshake is still an important business tool, and where families proudly put their name and reputation on every job they do. Outdoor Exhibits: In addition to dozens of indoor exhibits, Jordan Hall will be bursting with outdoor displays as well, including many opportunities to view and test the latest in outdoor machinery. 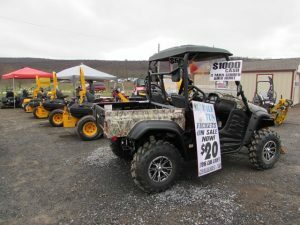 Garden Sponsor Stoneham Motorsports presents their annual UTV Show – you can even take a test drive at the show! 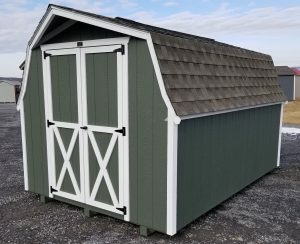 They’ll also have their Stihl Trailer on hand for your convenience to see an array of chain saws and other helpful tools. 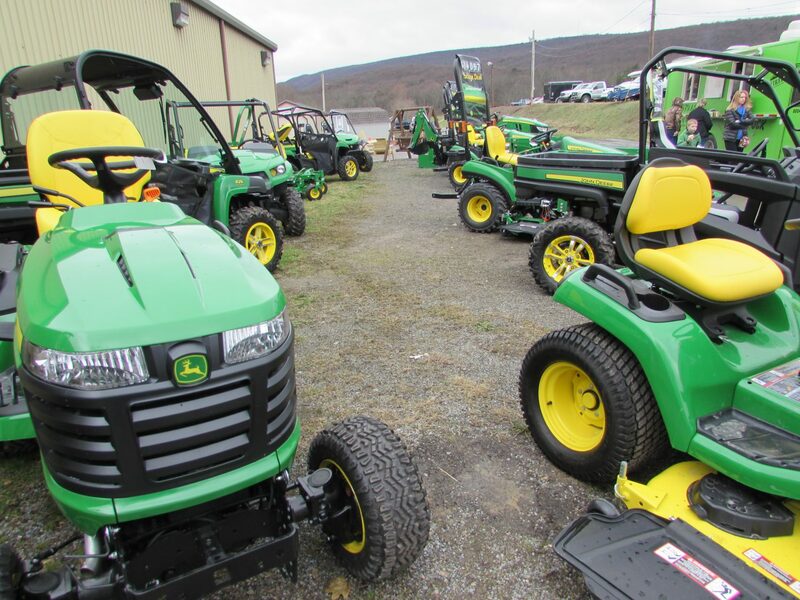 Also – visit the West Central Equipment John Deere Show and Hines Equipment Cub Cadet Test Drive Experience to see the latest in tractors, side-by-sides and much more. 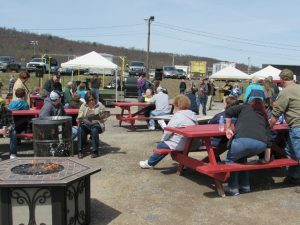 Food trucks will offer delicious fare throughout the weekend. Family Fun: The Home, Garden and Lifestyle Show is more than a traditional trade show; there’s something for everyone in the family to enjoy as we celebrate springtime. 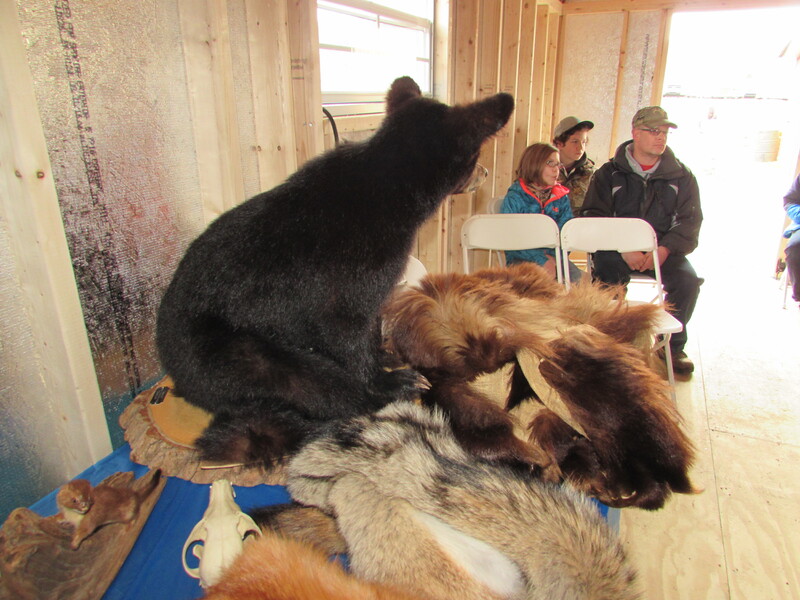 The Friends of Shawnee Outdoor Experience will provide unique displays and Programs for the whole family, including wildlife presentations by State Park Naturalists and fly-tying programs by the Fort Bedford Chapter of Trout Unlimited, just in time for trout season. 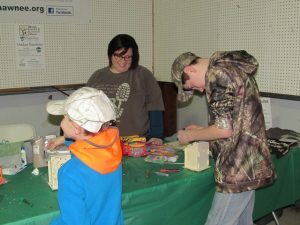 And kids should visit the Friends of Shawnee booth for nature-inspired crafts. Spring is the perfect time to clean out the basement, garage and closets. 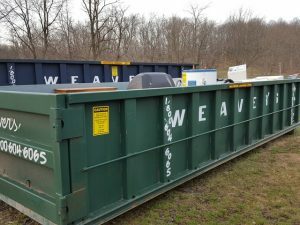 Thanks to Weaver’s Sanitation/Breezewood Transfer Unit, the HGL Show will offer a FREE metal recycling event. Guest may deposit steel, tin or metal into the provided roll-offs, including stoves, washers, dryers, tanks (if valve is removed) bicycles, break drums and car parts. Note: dishwashers, microwaves and freon appliances will NOT be accepted. Those wishing to recycle must check in at the Chamber’s welcome booth for assistance. 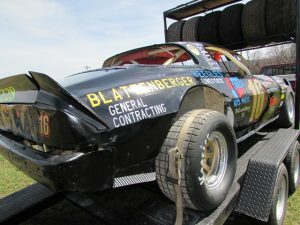 Speedway Preview: The Chamber is very proud to once again partner with the Bedford Speedway to give fans a preview of the 2019 race season with Sunday’s Stars and Their Cars Race Car Show. This event gives the community a chance to meet and greet race car drivers and teams and get a look inside the cockpit. Weather permitting, teams will take to the track for a Live Test-and-Tune at 3pm. Admission and parking are free for the Home, Garden & Lifestyle Show! Watch for Show previews on WJAC-TV news leading up to the event. Back by popular demand – the Chamber is pleased to re-introduce Show Mascot, Rusty! 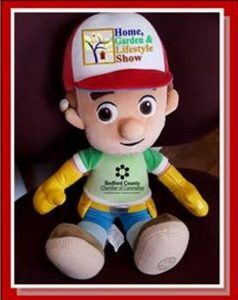 A cousin of popular children’s cartoon star, Handy Manny, Rusty will visit participating sponsors and exhibitors of the Home, Garden & Lifestyle Show through April 6th. Watch Facebook and Instagram each day for updates on Rusty’s escapades, and guess where he’s visiting each day. The first 10 correct guesses each day will be entered into a grand prize drawing, to take place at the HGL Show. 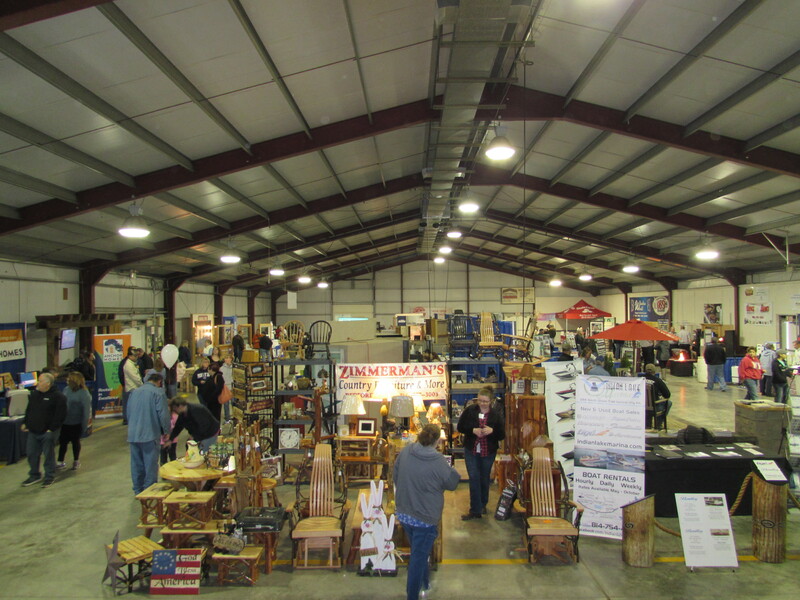 Then visit the show to find Rusty hanging out with our exhibitors as you Shop Local for your next home improvement project or great idea to enhance your lifestyle! #RustyHGL .